Union Station is a major train station, transportation hub, and leisure destination in Washington DC. Opened in 1907, it is Amtrak's headquarters and the railroad's second-busiest station, with annual ridership of over 5 million. The station also serves MARC and VRE commuter rail services, the Washington Metro, and buses. At the height of its traffic, during World War II, as many as 200,000 people passed through in a single day. In 1988, a headhouse wing was added and the original station renovated for use as a shopping mall. Today, Union Station is one of the busiest rail facilities and shopping destinations in the country, and is visited by over 40 million people a year. In Washington DC, Amtrak, VRE, and MARC, all store trains at three adjoining yards just north of Union Station. The largest, Ivy City Yard, is used primarily by Amtrak as its main storage, maintenance, and high-speed rail service and inspection (S&I) facility at Union Station. Amtrak will have a conference room available for attendees to store belongings and for eating lunch. Dress Requirements: Business casual is suggested; jeans are acceptable. Suitable shoes are required: they must be completely laced, buckled, zipped or otherwise fastened and have a definite heel. Sandals, loafers, sneakers or other shoes that cannot be fastened are prohibited. Amtrak will provide hardhats and safety glasses. 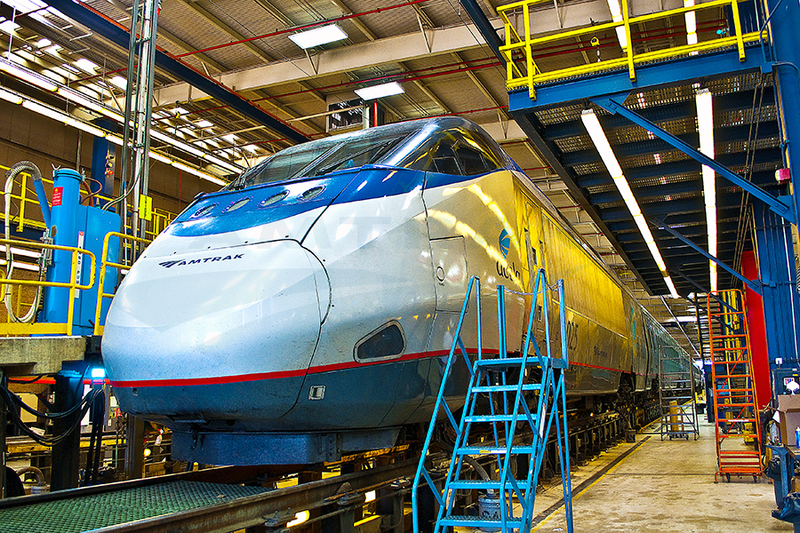 Students can expect to learn the technological background on trains and how Amtrak operates the largest commuter train service in the country.